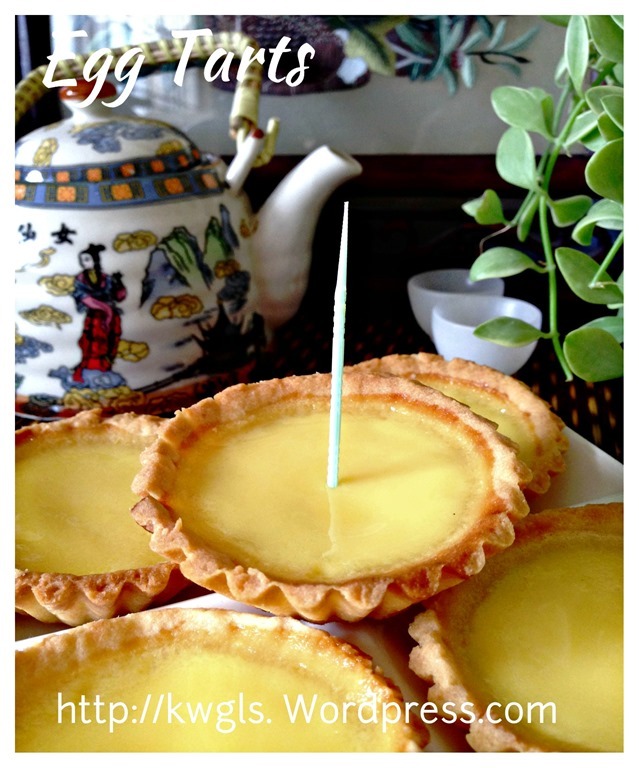 Egg tarts is a snack that many of us are very familiar.. It is commonly available in bakeries or dim sum restaurants. Due to its popularity, Wikipedia do have a precise write up on this custard tart and differentiate between the different types of egg tarts. “The egg tart or egg custard tart (commonly romanized as daan taat) is a kind of custard tart pastry found in Portugal, England, Hong Kong, and various Asian countries, which consists of an outer pastry crust that is filled with egg custard and baked. 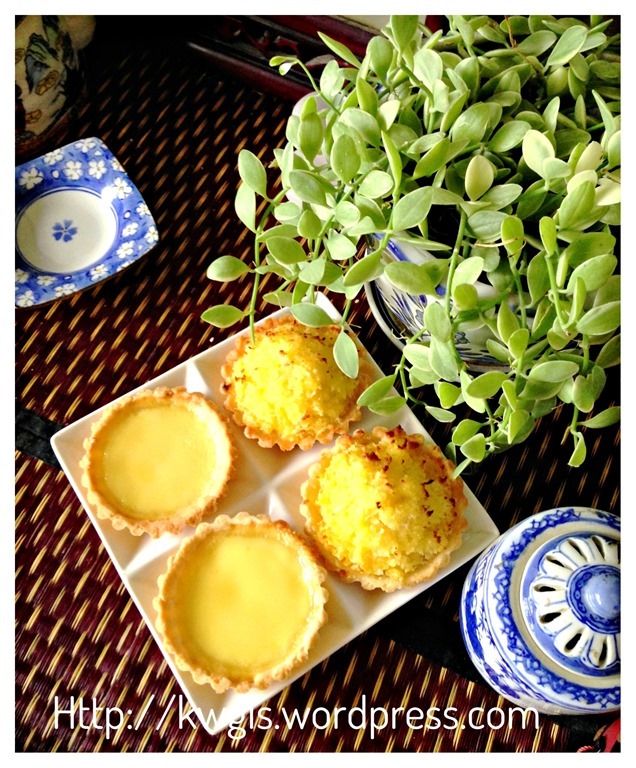 Custard tarts derived from the Portuguese pastry were introduced in Hong Kong in the 1940s by cha chaan tengs via the Portuguese colony of Macau. Hong Kong egg tarts are an adaptation of English custard tarts. Canton (modern Guangdong) had more frequent contact with the West, in particular Britain, than the rest of China. Also, as a former British colony, Hong Kong adopted some British cuisine. 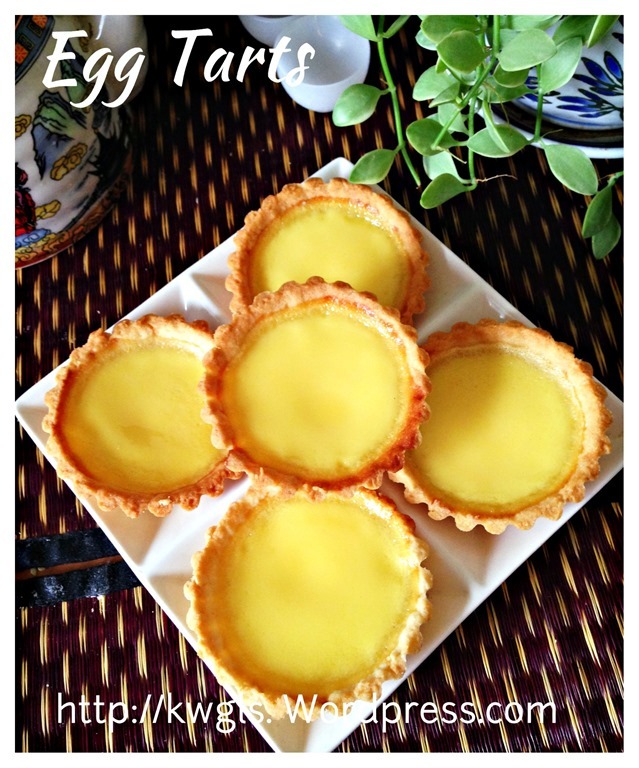 This is the Hong Kong style version of egg tarts with short crust pastry. It is more common in the bakeries as compared to those sell in the dim sum restaurants with puff pastry. Unlike Portuguese style egg starts that are prepared on a crème Brule style, the surface of the egg tarts are supposed to be yellowish, flat and smooth. 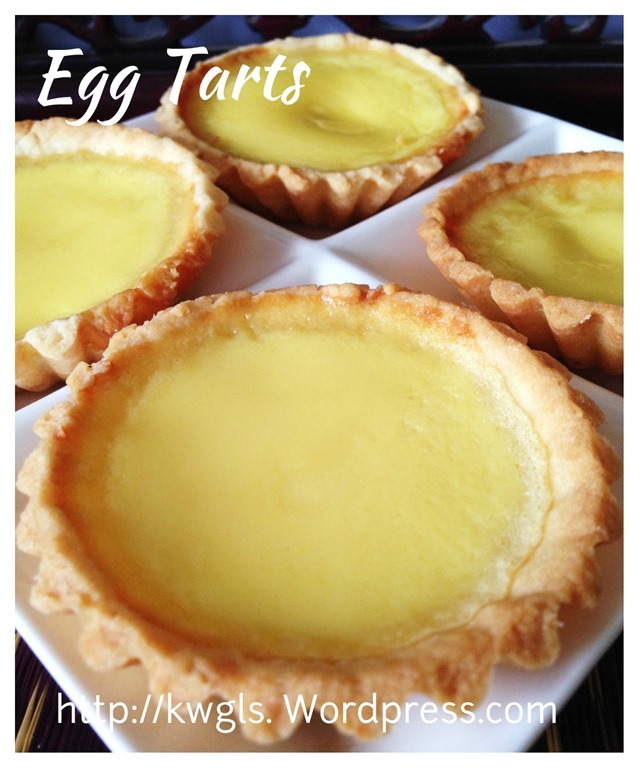 Preparing egg tarts are not difficult. It can be rather fast if you purchase the ready made tart shell in supermarket. 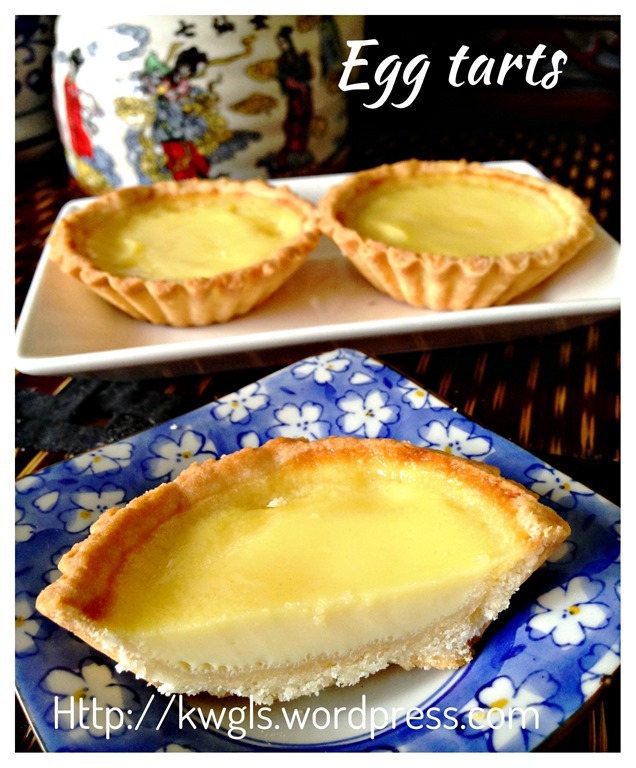 All custard recipes in the egg tarts are basically the same – eggs, milk and sugar. 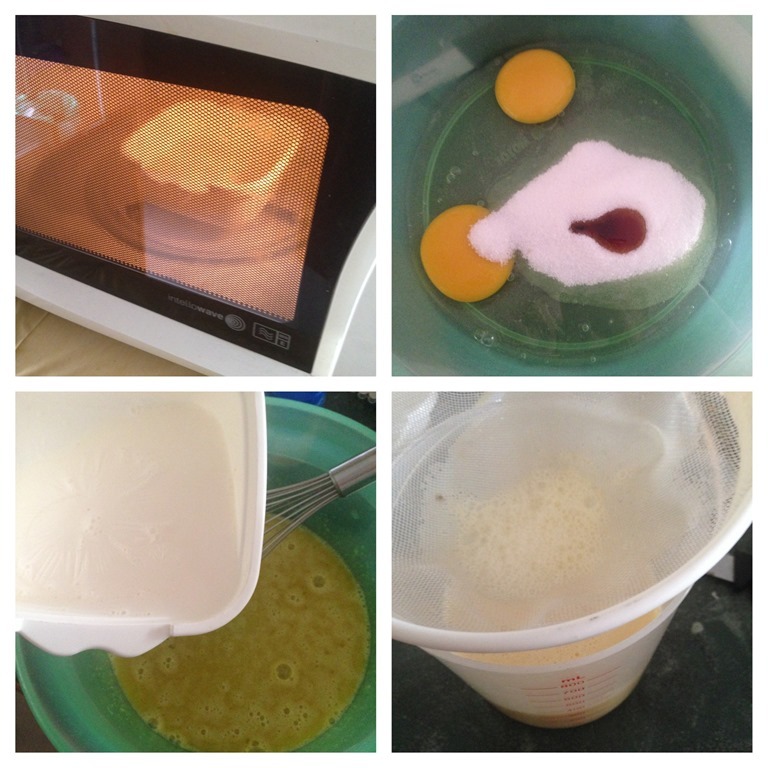 However, to ensure a successful bake of smooth egg tarts, a few pointers will need to be taken into consideration. 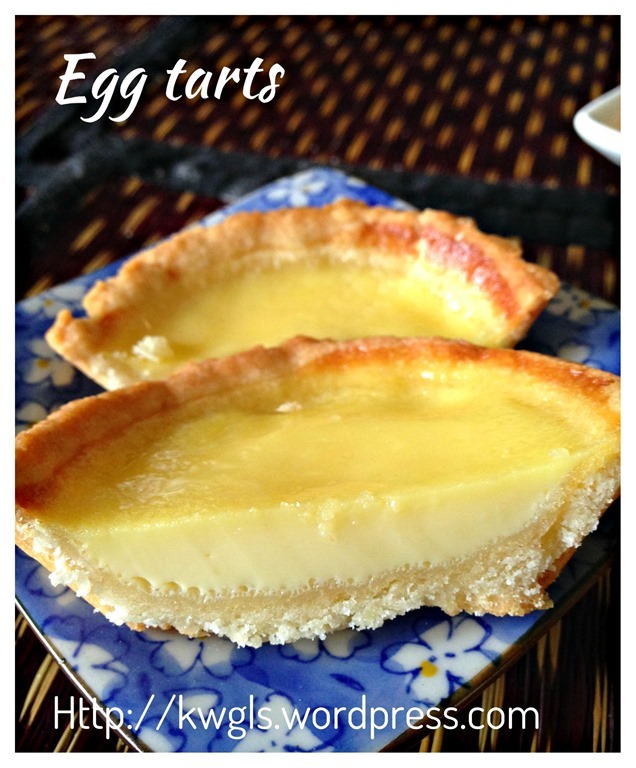 For this post, the tart shell is the same as those for coconut tarts as in this post: How Do You Do? I Missed You, My Dear Friend! 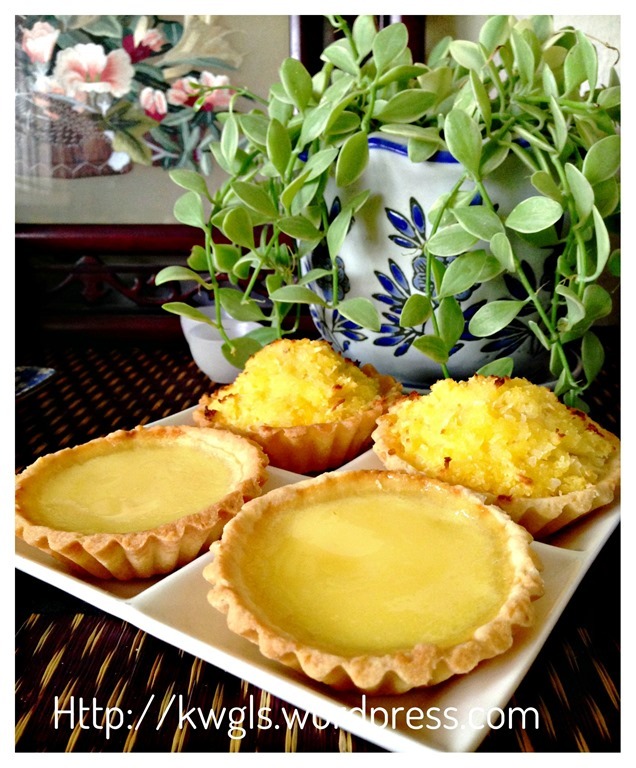 – Traditional Coconut Tarts (椰子塔）Hence the tart shell preparation pictures were obtained from there. 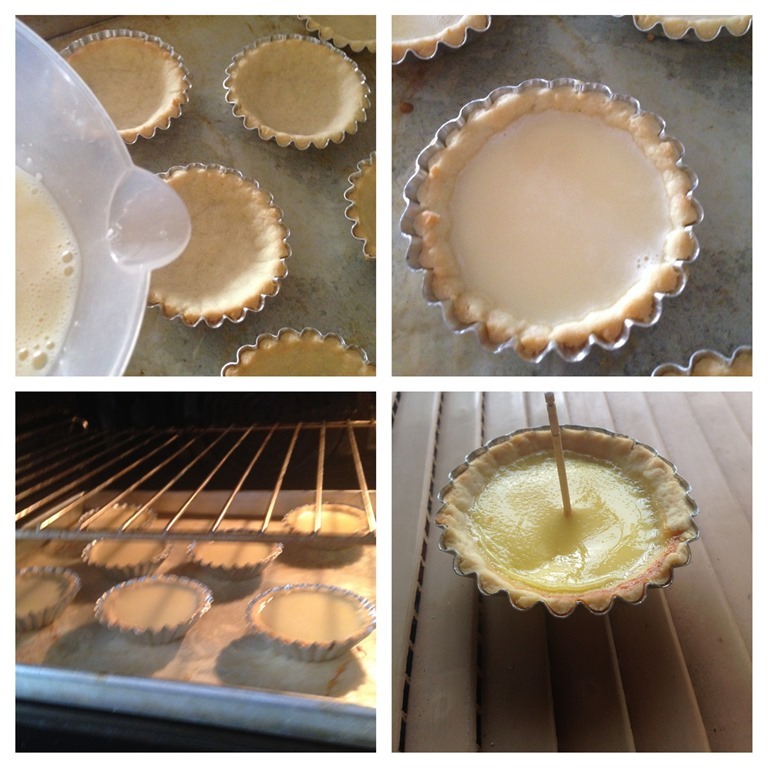 Preparing the tart shells – Please note that the tart shell illustration picture is from the post Coconut tarts. Hence the shell moulds are slightly different. Add lightly beaten eggs and vanilla essence, mix slowly until it become a dough. Put it in the fridge to chill for 20-30 minutes. Note that if you are able to handle soft dough, you can by pass this step. Take the dough from the fridge and use a rolling pin to roll it into a flat sheet with about 0.5 cm thickness. Use a round cutter to cut about the size of the mould. Note that this step is optional and will help you to roughly gauge the amount of dough required and you still need to adjust the quantity of dough as you progress. Use your hand to press the dough against the sides and make it as even as possible. Use a knife or anything sharp to cut off the sides. If preferred, use a fork to lightly make some holes to let any trapped air to escape. However, this step of making hole is optional. Set aside for later use. For crispier crust, bake the tart shell in the pre-heated oven of 180 degree Celsius for 10 minutes. However, this step is also optional. In a microwavable bowl or mug, heat the milk until boiling hot (if you do not have a microwave oven, just heat the milk over the stove). Set aside for the next step. 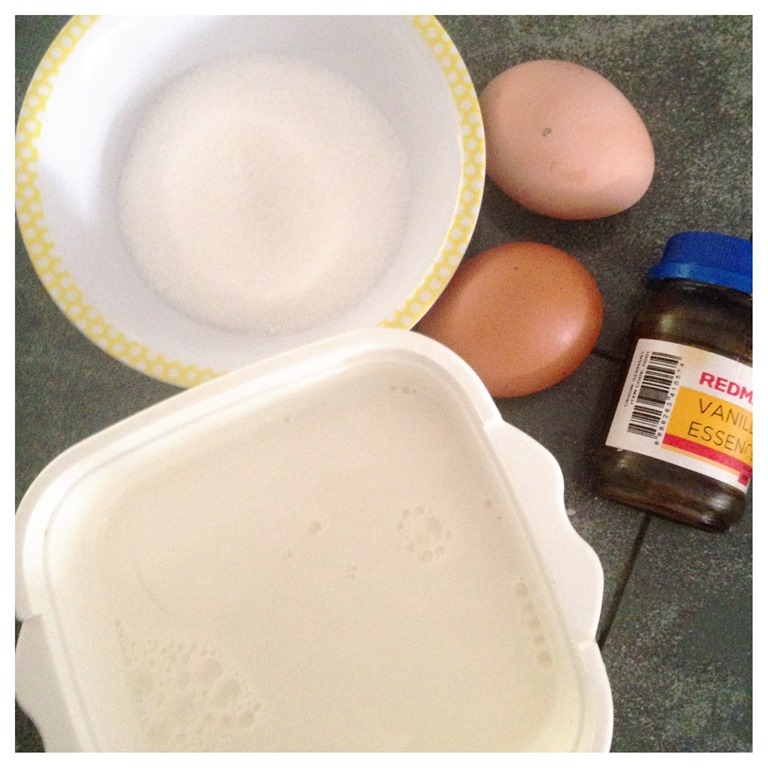 In a big mixing bowl, put egg, sugar and vanilla essence. Use a hand whisk to beat until well mixed. Pour the hot milk to the mixture and use a sift to sieve the custard mixture. Pour the custard mixture to the pre-baked tart shells. 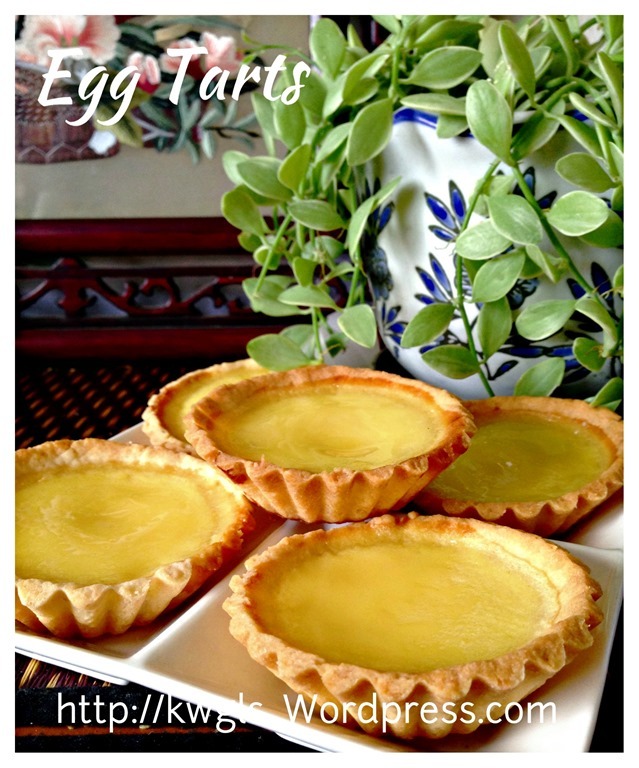 Bake the egg tarts in the pre-heated oven of 180 degree Celsius for 10-15 minutes. Once the tarts starts to puff up a bit, open the oven door, leave the door ajar and continue to bake the tarts for another 5 –8 minutes. 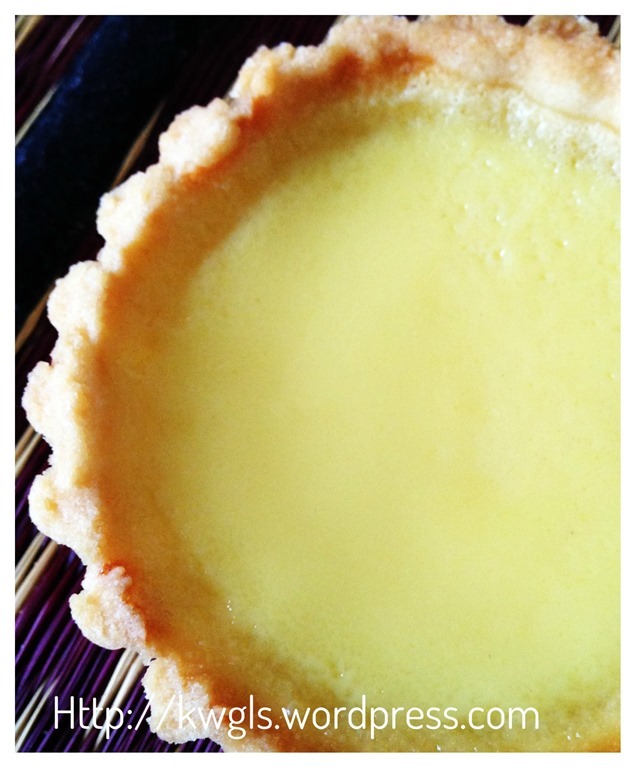 A tart is considered as baked when a toothpick inserted in the centre of the tart, the toothpick stands upright. 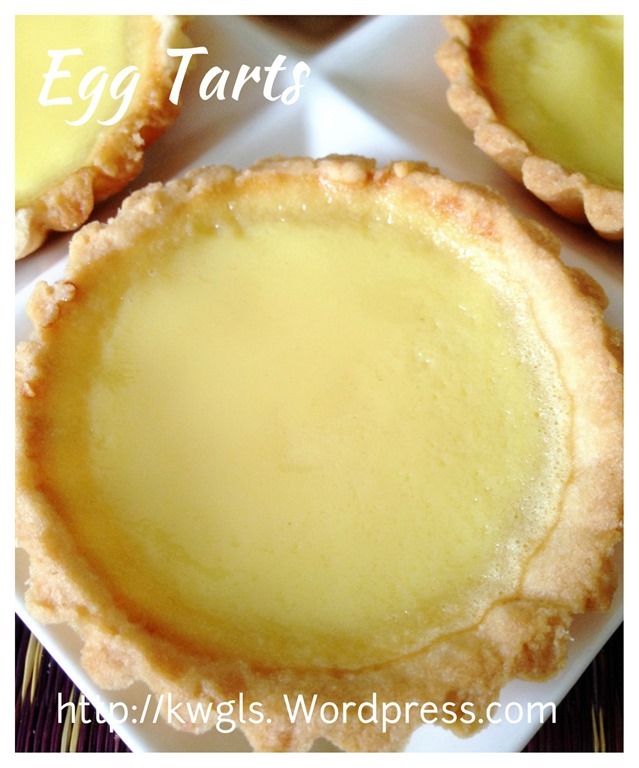 The tarts is best served warm when the custard is still soft and crust crispy. 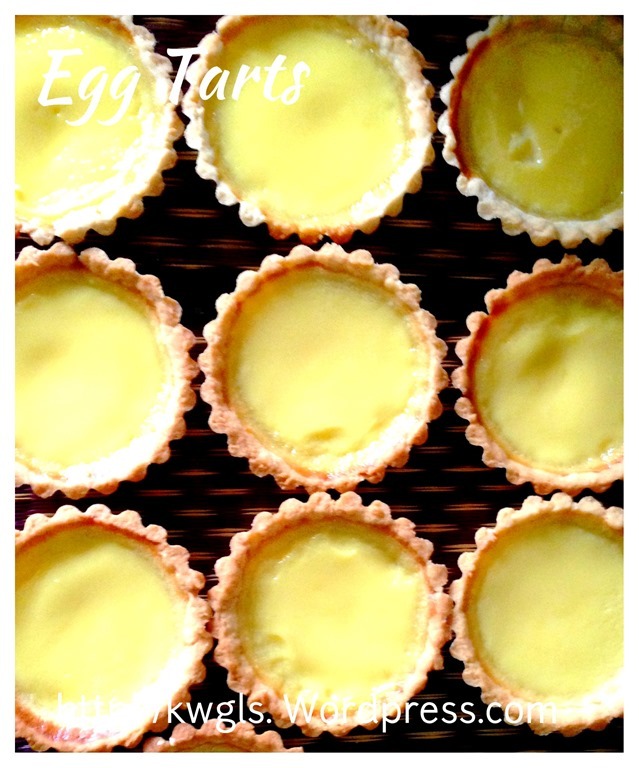 Baking egg tarts is not difficult but I did fail a few times.. The failure was not because of the error in the preparation but how well you know your oven. 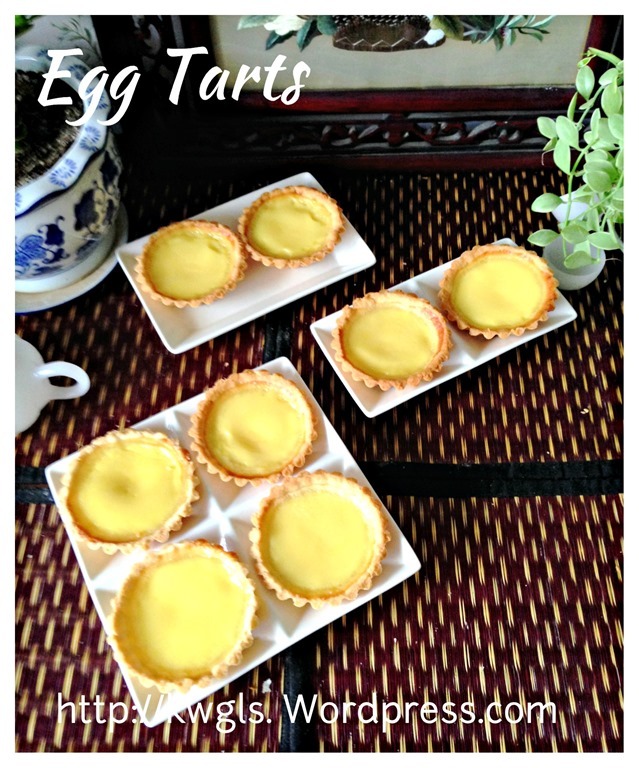 Due to uneven heat distribution in my oven, for the same batch of egg tarts, one or two at a particular corner puffed up much faster and higher than the others… Do play some emphasis in the last 10 minutes of baking, monitor closely the baking process as that is the critical success part of the entire bake.. 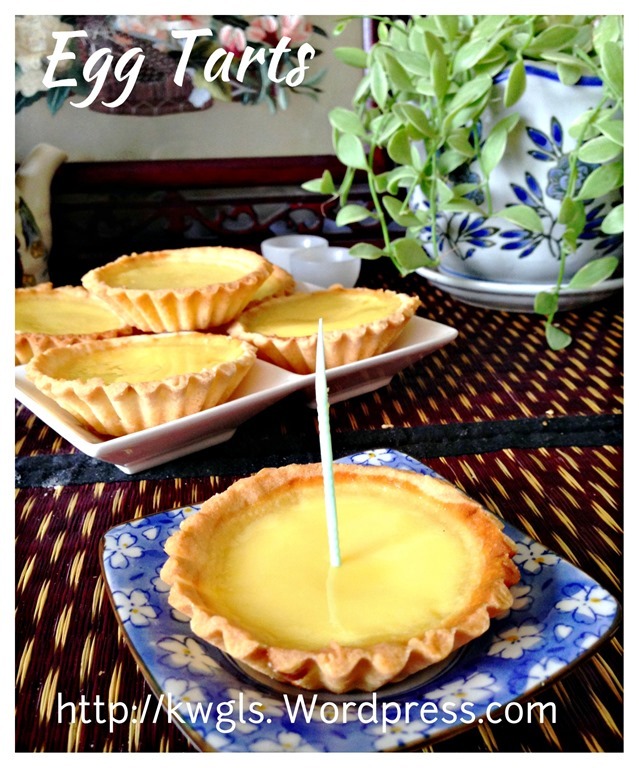 This entry was posted in Chinese and Asian Cakes and Snacks, Desserts, Food Preparation Series and tagged 8, custard tarts, egg tarts, GUAI SHU SHU, Guaishushu, Hong Kong egg tarts, kenneth goh, portugese egg tarts, postaday, 港式蛋挞. Bookmark the permalink. However, there’s one query, I’m not sure is it I overbake or whatever, but somehow, my custard filling always will sink down after cool down even thou I have pour to the rim and it had puff up. I couldn’t find reason for it on googling… thus, not sure if you can help. I have to be frank that I am unsure as these batch of egg tarts don’t have this problem. However, As the moisture start to loss over time. There is a tendency to harden and reduce in volume . Possibly store in air tight container will help ! I will have to try out your recipe. Thank you. I use a sieve that have too big a hole.